The Planning Authority has approved an eight-storey hotel in Mellieħa, despite the local council’s objections that the proposal breached the area’s height limitation. 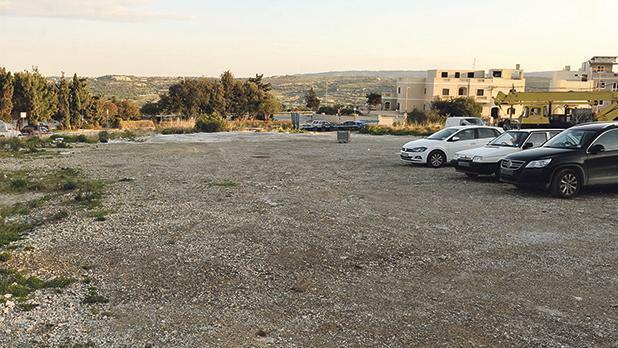 The plans, by J. Portelli Projects, include 120 residential units, shops, a hotel, underground parking and garages on a vacant 3,600 square metre plot close to the Valyou supermarket, the site formerly occupied by the Belleview restaurant. The plan had been recommended for refusal due to planning policy limiting buildings in the area to just three floors, although hotels could benefit from an adjustment policy allowing an extra two floors above that. Nevertheless, at a hearing earlier this month, the PA board indicated that it was ready to approve the application on the basis of a separate flexibility policy. The decision was formalised on Thursday by a vote of nine to four, with those against being board chairman Vince Cassar, Environment and Resources Authority (ERA) chairman Victor Axiak, NGO representative Annick Bonello and Mellieħa mayor John Buttigieg. The local council, which had long sought to use the formerly government-owned land for community facilities, had already objected to the project, describing it as overly-intensive and incompatible with its surroundings. During the hearing, architect Carmel Cacopardo, representing objectors, insisted the board’s decision went against local plan policies that prohibited a hotel on the site, and that the flexibility policy was not intended to supersede height limitations. Nationalist MP Robert Cutajar, formerly mayor of the town, added that the area had always been zoned for residential use. The project architect presented new plans incorporating more green landscaping into the design, the one concession to concerns raised in the previous hearing. The case officer had originally requested far more extensive changes, including eliminating the eighth floor of the hotel section and apartments on the fifth and sixth floors, and redesigning other parts of the development to include receded floors. But the project architect had consistently maintained that the plans were in line with policy and had declined to carry out the requested changes.